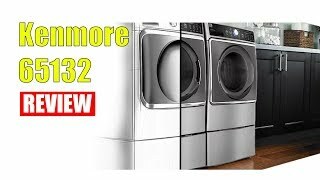 A spacious, mid-priced dryer with some user-friendly capabilities plus some new technology that doesn’t always impress. 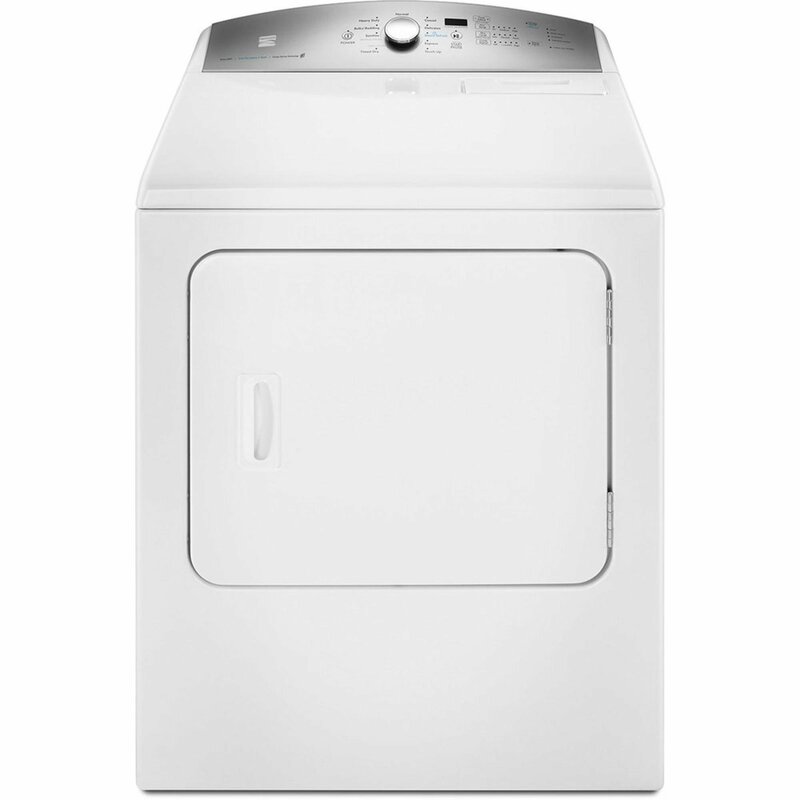 This Kenmore dryer’s 7.0 cubic foot capacity can take on almost any sized load. From a light load of delicates to a mountain of towels or a duvet, this dryer can get the job done. 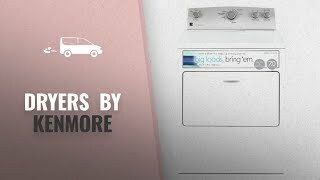 The Kenmore Electric Dryer with SmartDry Plus was designed to make laundry day nice and simple. Whether you’ve got a pile of soaking wet towels or a delicate blouse that simply needs refreshing, this Kenmore dryer has you covered. SmartDry Plus technology uses 2 moisture sensors and a temperature sensor to adjust the dry cycle, ensuring dry clothes each time without damaging fabrics. Use air dry for your delicate items: this 30-minute tumble cycle doesn’t use additional heat, yet dries delicate items faster than traditional air drying. Wrinkle Guard lets you do laundry on your terms by giving a load a quick toss to prevent set-in wrinkles for up to 150 minutes after the dry cycle. Spend less time babysitting your laundry and more time doing what you want with your day. This Kenmore dryer’s drop-down door makes it easier to sort laundry in and out and serves as a convenient quick resting spot for the clothes basket. This ELECTRIC DRYER requires a 240V grounded 30 AMP electrical service/outlet within 3-feet of dryer location. If your home is not equipped with a 240V electrical outlet, you may have a gas supply line. Please confirm before ordering. Please confirm that you’ve selected the correct fuel type before completing purchase. Selecting the incorrect fuel type can delay delivery.